StuLand: What does Gorilla meat taste like, anyway? What does Gorilla meat taste like, anyway? In our house, we believe in trying to know where our food comes from, and teaching our kids about such things. It’s why we love growing our own veggies in our backyard. It is a tangible thing, to be able to reach down to the earth, pull out a carrot, a parsnip, or snap a bean off a stalk or pluck a zucchini from the vine… we’re lucky to be able to do it because we have the space, and we’re glad to be able to show our kids ‘this is where produce comes from’. Meat is a tougher issue, save our friends with their backyard chickens and our ability to show our little ones how eggs can be collected. Often, as far as our kids are concerned, meat comes from a shelf in a store. We have explained to our kids that other animals are killed so that we can eat their meat and if we choose to eat meat, we should be considerate of our choices because of this. Yet somehow, it’s all a bit abstract for them. We’ve never gone fishing (#fail), so they’ve never seen us catch a living thing, kill it, and cook it. But meat ends up on our table. We don’t eat much in the way of big, red meat, so steak and ground beef and the like don’t happen much in our house. Chicken, turkey, pork… these are the meats we know the most of. Recently, we started taking delivery of meat from a local urban farm called Urban Digs that sustainably raises cows, pigs, rabbits, ducks and chickens (for those of you in the lower mainland, check 'em out! They do veg as well). Each week, we are getting a ‘Beasty Box’ full of all sorts of good things, some of which we’ve not had in the house before. One week, a rabbit stew. 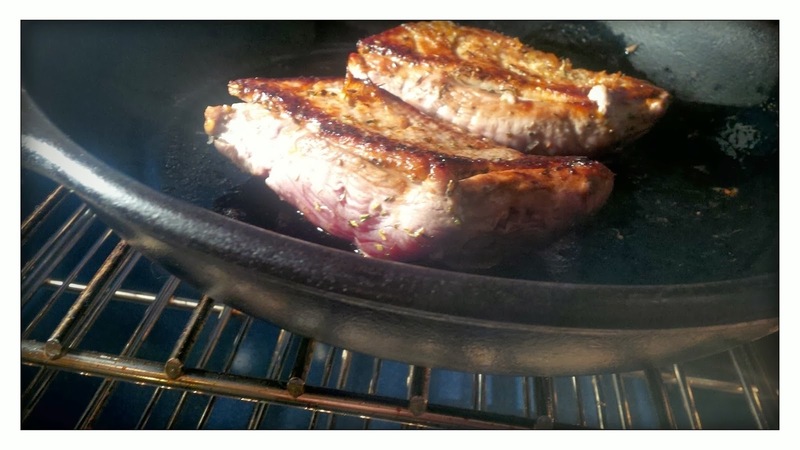 More recently, some duck dishes, just as a few examples. When we got our rabbit stew, my son was most surprised to hear that we would be eating a flopsy-eared bunny wabbit. “Did someone kill a rabbit for us?” he asked at the time. Well, yes, they must’ve, as I have a bag full of it in my hand... and we had a little conversation about local, sustainable meats. Yay for teachable moments. Now to the point of my story... last week, as my wife and I read a bed time story to the kids, our daughter stopped us mid-sentence to ask a question. We were reading a book featuring northern animals, and we were on a page showing puffins. “Do we eat puffins?” our three year-old asked, quizzically. My wife and I looked at each other. Puffins? Gorrilas? Okay, what was going on here?! It dawned on me fairly quickly. yummy! Nothing so delicious as protected species! Images of any number of international wildlife protection mandates, statutes and sanctions flashed through my head. Mmmm. Love those gorilla puffs. Little gamey, but nice crunch. I could see the headlines now: Cereal killers found poaching endangered species in Vancouver (pause for applause over delicious pun). Aligned with our values about other food sources, we also tend to buy some organic grain cereals, and the more ‘kid marketed’ products sport the names of various species that some of our purchase price goes to protect. 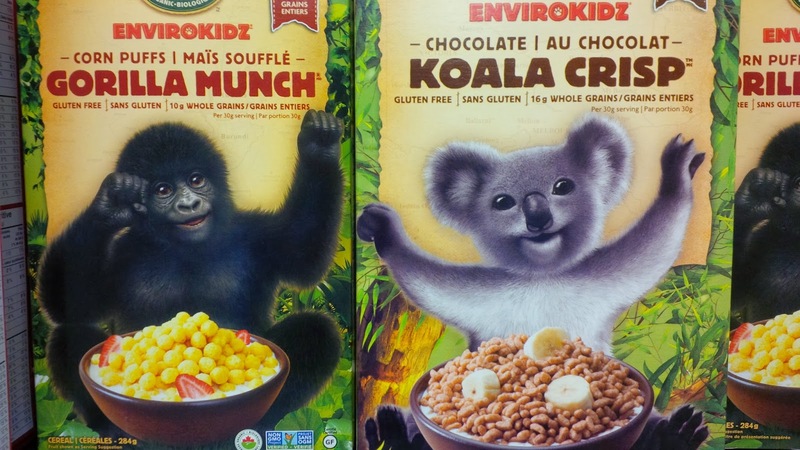 Let me repeat that: we are protecting gorillas and puffins with our cereal purchase. Not eating them. The kids get a few of these types of cereals sprinkled on top of their fibre flakes or whatever healthy option we’re trying to mask. Never, in a million years, could I have guessed that in the mind of my children, the ideas were brewing that we eat gorillas. From the mouths of babes. Clearly, we haven't talked quite enough with them about where our grains come from... I guess that's next! Yes, we could simply raise our kids as vegetarians, perhaps negating the need for this whole conversation, but holy man, have you ever had magret de canard? I hadn’t until the other day, and, like, wow. I was glad that the duck I ate was raised non-GMO local, manic organic. That’s a sustainability I can sink my teeth into. one conversation about puffins and gorillas at a time.